Finally this sickness is going away, slowly but surely, and I am hopefully able to go back to school tonight. I have done all the homework I’ve been able to do with the books I remembered to bring here, and lots of readings, so after some breakfast and lots of fluids, despite the headache and still nasty sore throat, I was itching to BAKE this morning. With all the ingredients here at my parents’ house, it’s hard to resist coming up with some awesome and random recipe. I peaked in the fridge and the pantry, thought about the different foods I saw, and came to the conclusion of apple pie. Or, well, a little apple tart. 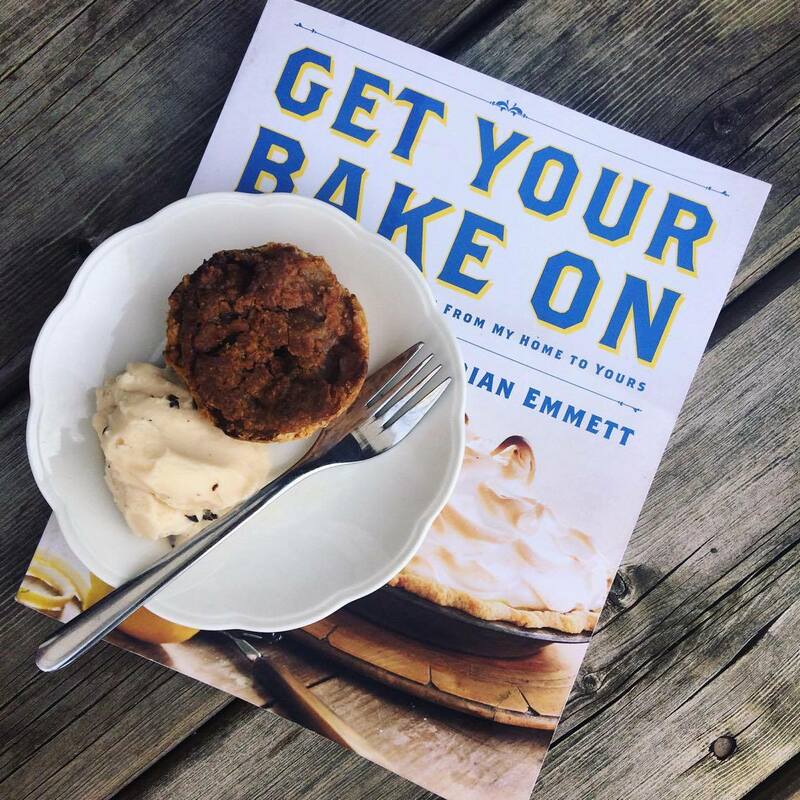 This is my own recipe, but the idea to spike apple pie crust with apple cider vinegar is one I learned a couple years ago from chef Brian Emmett who won CBS’ cooking competition in America in 2015. First, prepare your crust by placing flour, baking powder, salt, and sugar in a blender or food processor; pulse until mixture resembles fine crumbs. Add coconut oil and pulse again. Add water and apple cider vinegar; pulse until dough just holds together. Roll into disc; cover with plastic wrap and chill 30 minutes. Combine all filling ingredients in a small bowl and massage with hands to fully coat apples. Press chilled crust dough into the bottom and sides of small tart pan or single muffin tin. Mound filling in piecrust. Evenly distribute crumble topping over the top, until completely covered. Wrap tart in tinfoil and bake at 375 degrees about 1 hour; remove foil, and continue baking 15-20 minutes, until the top is crisp and the apples are cooked right through. Serve hot or cold, with vanilla ice cream or whipped cream, and sprinkled with a touch more cinnamon (pictured here with dairy-free vanilla ice cream).